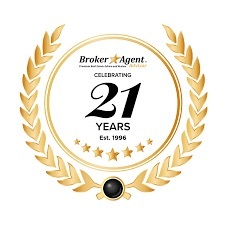 Phoenix, Arizona August 21, 2017 – Now in its 21st year, Broker★Agent™ Advisor celebrates the success and accomplishment of the industry’s finest real estate professionals through it’s exclusive ‘Certificate of Excellence’ Program. Through proprietary criteria, formulas, and other valuable considerations, Stephanie MacCallum of EXP REALTY, LLC has been distinguished by Broker★Agent™ Advisor as one of the best in heating and maintenance business based on achievement, potential, leadership, ethics, community value, experience, capability, and trust for their service during the calendar year of 2016. At eXp Realty, our family of agents and brokers build their own businesses while establishing a direct ownership interest in our parent company, eXp World Holdings, as a shareholder and partner. Many big franchise companies have a profit sharing model which grants a share of the profit a brokerage office makes. If that office doesn’t make a profit against their expenses there’s nothing to share. With Revenue sharing, you get your cut off the top with no expenses factored in on any agents you sponsor into the company. There’s no need to wait to see if your office made profit to find out if you get a profit and most of all, there’s no limit to what you can earn! As part of being an exp agent, you’ll receive access to a powerful CRM and lead generation website called Kunversion. This would normally cost $500 a month, but is given to you as part of your agent technology package. Say goodbye to office commutes: Our one-of-a-kind cloud office environment allows agents and brokers to work together at any time or any place. Defy distance. Interact and learn from industry experts and other top professionals. Agents build teams, share best practices and enjoy a powerful referral network. Just for joining exp, you’ll get stock in eXp World Holdings. At other milestones, such as first sale, you’ll be given more! Also, you can purchase stock at discounted rates. Never stop learning with more than 15 hours of live training each week on eXp tools and business best practices. 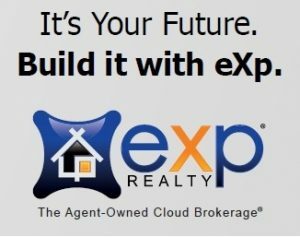 Agent support is only a click away with eXp’s agent services, technology and finance expertise available wherever an agent or team is located. We are huge movie fans at CMREG! If you are looking for a great place to watch the latest new movie, this is the place to see it! Great comfy seating, lots of theaters, a great snack bar and a huge open lobby. Always a fan of AMC theaters, this one does not disappoint! 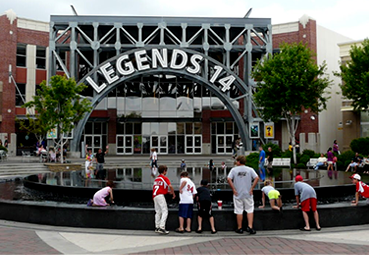 Have fun on a family movie date in this Kansas City classic! 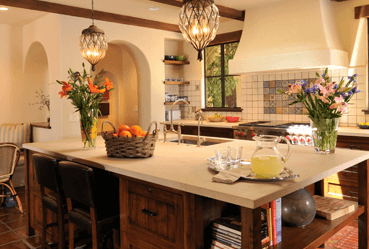 Looking for a makeover for your kitchen? We’ve been pinning ideas, consulting with the creatives and getting inspiration from great designers. Make sure you check out our Pinterest page to grab some ideas, we’ll be checking out what’s hot and what’s not. Total housing stock at the end of September declined 1.3 percent to 2.30 million existing homes available for sale, which represents a 5.3-month supply at the existing sales velocity. Despite fewer homes for sale in September, unsold inventory remains 6.0 percent higher than one year ago, when there were 2.17 million existing homes available for sale. Home sales in the Kansas City area vary, call us today to find out what homes are selling for in your neighborhood! Existing-home sales declined slightly in August after four consecutive months of growth, according to a recent report by the National Association of REALTORS (NAR). Existing-home sales, which include recently purchased single family, townhomes, condominiums, and co-ops dropped 1.8 percent in August to a seasonally adjusted 5.05 million annual units. Nationally, total housing inventory decreased 1.7 percent during August to 2.31 million units. The median time for homes to sell was 53 days in August, up from 48 days in July. Forty percent of August home sales were on the market for less than a month. When purchasing a home, you will need to acquire homeowners insurance. In fact, all lenders will require a policy to be in force prior to funding the loan. Make sure you have enough coverage should anything happen. 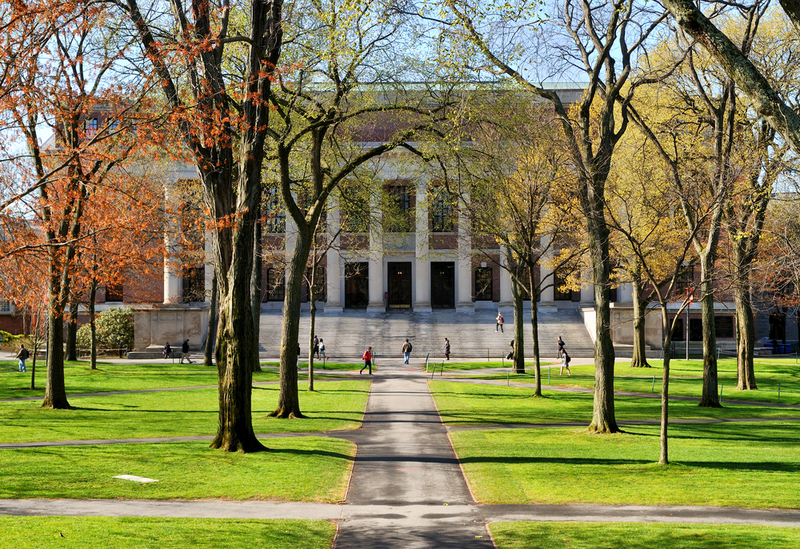 Policies refer to “replacement costs” that may not cover everything. You should ask your insurance agent a lot of “what if” questions. The deductible amount also plays a big part in setting your premium. Higher deductibles lower the number of claims, and reduce your insurance costs. Check with your insurance agent for more information on these issues and others. If you don’t have an insurance agent, we have access to several top-notch agents to whom we can refer you with confidence. Make it shine. Buyers are attracted to attractive homes. Make your home stand out by mowing the lawn, raking the leaves, washing windows, and cleaning the carpets. These are small things that make a big difference. Remove clutter. Not only do clean homes show better, but tidy homes offer more to the imagination. One person’s treasure is another person’s trash. Removing unnecessary clutter will help potential buyers envision their own potential for the home. Pay attention to the market. Work with your agent and price your home to sell. A competitively priced home is the one that sells first, and in this market that counts for a lot. Kansas City Safe for Zombie Refuge! At the Char MacCallum Real Estate Group, we are detail oriented in the customer service and information we want to provide for our clients. Consider this point this Halloween… in case of a Zombie apocolypse, Olathe and Kansas City areas are safer places to hide from a potential Zombie attack. Think we’re kidding? The Real Estate community has insider information… Trulia calculated the survivability of the cities using the following criteria: highest walk score, lowest hardware store density, highest hospital density, and most congestion. In good news, Kansas City was NOT on the list, which means move to the Kansas City area to seek safety(something we’ve known for a long time here in Olathe and Kansas). Wondering which areas are going to be the most affected by a Zombie apocolypse? Stay safe this Halloween and try to be Zombie free. Read the full article on “The Worst Places to Seek Refuge During a Zombie Apocolypse”. Olathe and Kansas City homeowners, you can breathe easy knowing that this is one list we didn’t make the “top 10” on. Just another reason to move to Kansas City! Pumpkin Hollow at Deanna Rose Children’s Farmstead*, Overland Park, 10am-3pm weekdays and until 4 pm on weekends, $7. Includes a pumpkin. Continues through Halloween. Night of the Living Farm at Deanna Rose*, Overland Park, 6-9 pm, $8 in advance. Friday and Saturday night for two consecutive weekends. The Legend of Sleepy Hollow by TallGrass Theatre Company*, Paola, 7 pm. Friday and Saturday evening. Halloween Spooktacular Kids Costume Contest and Pet Parade at Roeland Park Community Center, Roeland Park, 10 am – noon. $3 per child. Additional $3 to enter pumpkin carving contest. Family Fall Festival at Blue Valley Rec, Overland Park, 1-4 pm. $5 per child. Includes a pumpkin. Halloween-themed Parents’ Night Out at Pinnacle Gymnastics, Shawnee, 6-10 pm. $25 per child. Includes dinner. Haunted Kansas at Ernie Miller Nature Center, Olathe, 6:30 – 8:30 pm, $5 per person. Enchanted Forest at Sar-Ko-Par Trails Park, Lenexa, 6:30-8:30 pm, $3 wristband. Healthy Halloween Spooky Treats at the Cooking Studio at Whole Foods Market on Metcalf, Overland Park, 10 am – noon, FREE. 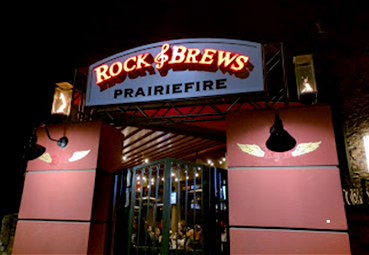 The Great Pumpkin at Bass Pro Shops, Olathe, weekdays 5-8 pm, weekends 12-5 pm, FREE. Different events daily through Halloween. Halloween Card Craft at American Girl Store*, Overland Park, 4-6 pm, FREE. Spooky Tales in the Garden at Hy-Vee Ridgeview*, Olathe, 6-8 pm Friday and 1-4 pm Saturday, FREE. Great Pumpkin Race 5K at Horizon Academy, Roeland Park, 8:30 am, $10 for kid run. Sunflower House Pumpkin Palooza, Shawnee, 9 am – 1 pm, FREE admission, fundraiser. Halloween Junior Chef at Williams Sonoma, Leawood, 10 am, FREE, register. Halloween Craft at Lakeshore Learning, Merriam, between 10 am – 3 pm, FREE. Halloween Storytime at Barnes & Noble, Leawood & Overland Park, 11 am, FREE. Shawnee Town’s Historical Happenings, Shawnee, 6 – 8:30 pm, $1 donation. Spooktacular Storytime at Pottery Barn Kids, Leawood, 11 am, FREE. Halloween with Keith Leff at Johnson County Museum, Shawnee, 10 – 11 am, $3, advance reservation recommended. Halloween Kids Club at Price Chopper, all locations, 3 – 7 pm, FREE. Celebrate Day of the Dead at Olathe Public Library, Olathe, 4:30-5:30 pm, decorate a sugar cookie. FREE. Halloween Boo Bash at Celebration Park, Gardner, 6 – 8 pm, $3 wristband. Oct. 31, 2014 (Friday) Happy Halloween! WonderSpook at Wonderscope Children’s Museum, Shawnee, 5:30 – 8:30 pm, $5 per person for members, $10 for non-members. Costume Contest at Pinstripes, Overland Park. Trick-or-treat all day from 10 am to 9 pm. Contest begins at 8 pm. Trick-or Treating At: Corinth Square, Prairie Village, 4 – 6 pm, the Village Shops, Prairie Village, 4 – 7 pm, Oak Park Mall, Overland Park, 5 – 6 pm.